A dictionary is a basic essential for any language learner. For Thai though, the alphabet presents an immediate, and considerable, obstacle. Looking up an English word ? You’ll get a bunch of Thai script to read in return. If you look up a Thai word, you may get a nice English definition, but you’ll still need to be able to spell and type Thai first. No problem for Thais, not so good for the rest of us. The Thai2English dictionary is different. It’s a full Thai > English and English > Thai dictionary that you’d expect, but you don’t need any Thai script knowledge to use it. All Thai words are shown using our transliteration along with tone markers. You can use transliteration to search too – just type what the word sounds like to you, and we’ll do our best to find it. We also show all words in Thai script too of course, so if you’re more comfortable with that we’ve got you covered. 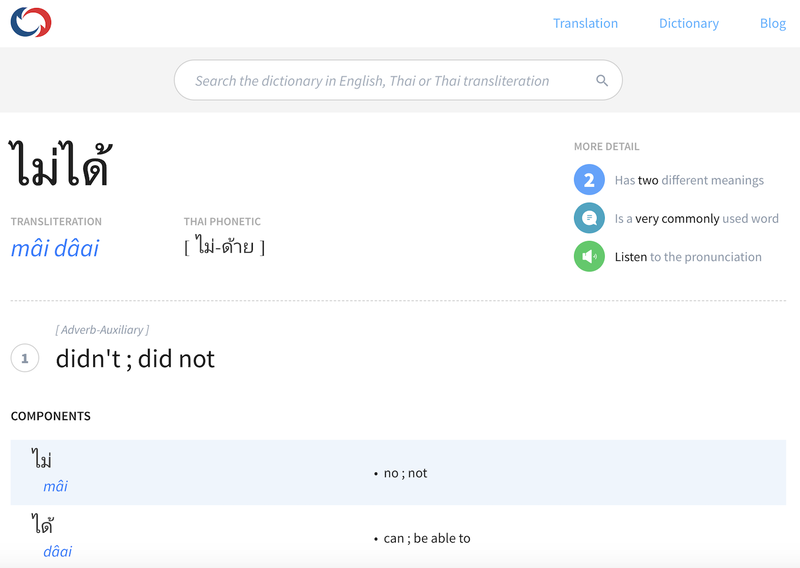 The dictionary contains hundreds of thousands of Thai and English words, along with sound files, phonetic spellings and usage information where appropriate. 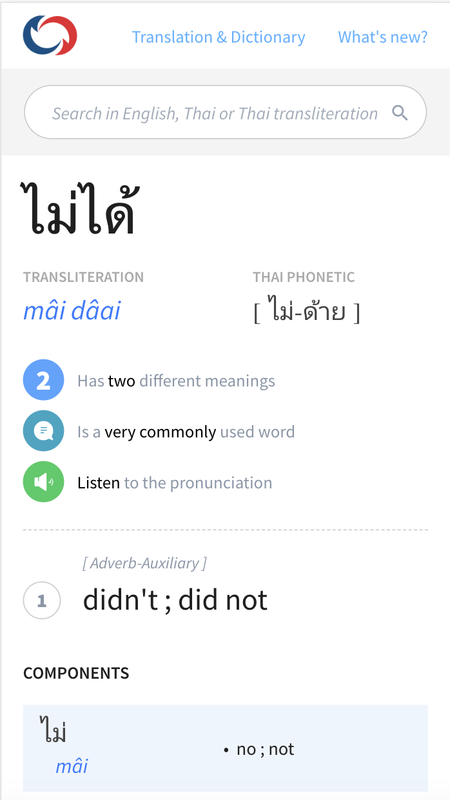 As longer Thai words are usually built up using smaller component words, we show both component and examples so you can better understand how it all fits together. 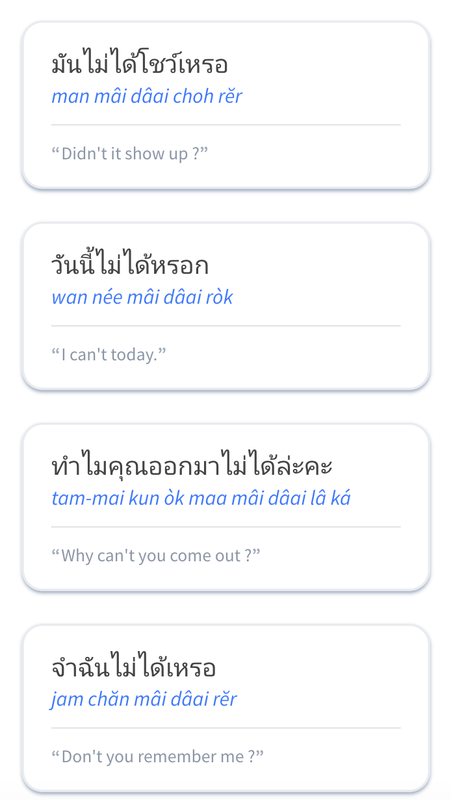 For extra help, there are tens of thousands of example sentences like these ones available in both Thai and English. These help a lot in understanding how to use a word in real world contexts.